The waters of Goulburn River beneath Chinamans Bridge and immediately upstream and downstream of the bridge as marked by lines of yellow buoys are prohibited to vessels, excluding Span 6 of the bridge that remains open for vessels to transit under the bridge. A 5 knot speed restriction applies to all the waters of Lake Hamilton. The Old Goulburn River Bridge, Old Hume Highway, off Emily Street in Seymour, is currently unstable and partial collapses have occurred. 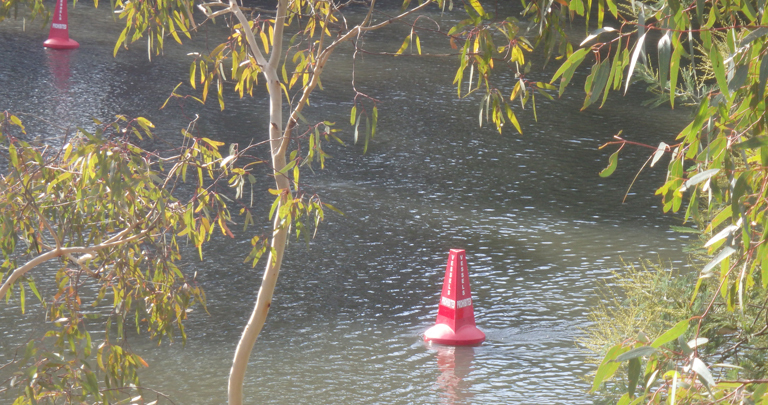 Until further notice, vessels and persons are prohibited from entering the waters of the Goulburn River in an area extending 50 metres upstream and downstream from the Old Goulburn River Bridge. No vessels or persons are to transit in this area due to safety concerns beneath the bridge. If people wish to transit the area, they are advised to retrieve their vessel and travel by land to either the Seymour Goulburn River Park boat ramp or the Seymour Lions Park boat ramp. The most common reason for emergency waterway closures or restrictions is a flood event. Waterway managers have the power to close waterways in such events to ensure the safety of waterway users. Contact the relevant waterway manager for more information or contact the Bureau of Meteorology or Victorian State Emergency Service for the latest Victorian weather and flood warnings.